Driven by customer demand and increasing competition, companies across the world are discovering that cheapest is not always best when it comes to purchasing decisions. But if not by price, how do they select their suppliers? We talk to Management and Marketing’s Dr William Ho about issues in contemporary supply chain management. Once, not so many years ago, the preferred approach to selecting a supplier was nice and simple - obtain three quotes and then choose the cheapest one. But, over the past decade, there has been a change in philosophy, and price is no longer the driving factor it once was. In today’s supply management setting, everything matters – and companies are being forced to take a more holistic approach to their purchasing decisions in order to satisfy customer demand and remain competitive in an increasingly global marketplace. From the quality of the product and the reputation and reliability of the supplier, to the environmental impact and potential risks that may prevent a product from being supplied, there are many issues to be considered. But working out how to evaluate and assess these multiple criteria is complicated. And that is where the Management and Marketing Department’s Dr William Ho comes in. Since 2010, Dr Ho has been among the leaders in the academic world with his research into the issues facing contemporary supply chain management. So much so, that last month, the prestigious European Journal of Operational Research named an article written by Dr Ho as one of the 40 most influential it has published in the past 40 years. The 2010 article, ‘Multi-criteria decision-making approaches for supplier evaluation and selection: A literature review’, was the journal’s ‘hottest article’ for six consecutive years after its publication – leading to it being selected from more than 14,000 articles published since 1977 to mark the journal’s 40th anniversary. 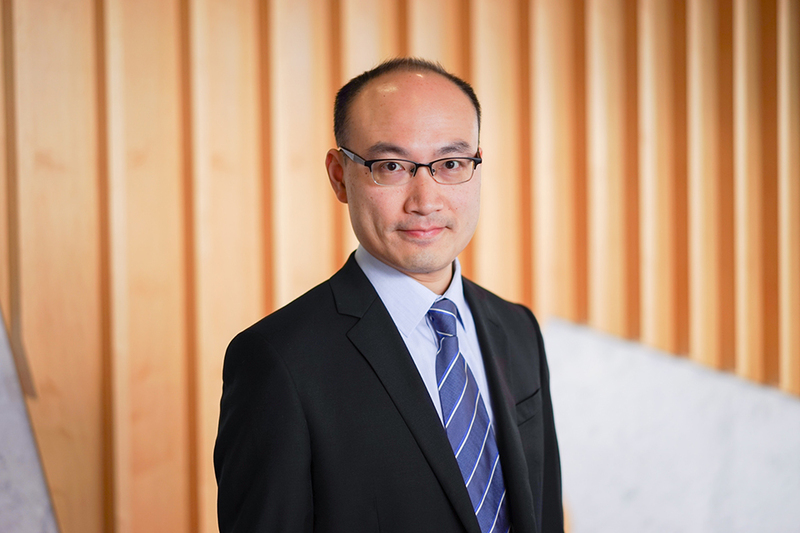 With a long-running interest in solving real-life problems for industry, Dr Ho first started working in the field of supply chain management when he joined the Aston Business School in Birmingham in 2005. An engineer by background, the move in research focus from production planning to supply chain management, specifically strategic sourcing and supplier performance management, was akin to starting his PhD all over again. But, it was from this process, that Dr Ho’s future research agenda was set. “I selected a topic that wasn’t too far from my original research area,” he says. “But I needed to be familiar with it – so I sourced all 78 articles written on the topic between 2000-08 and reviewed them. In the article, Dr Ho and his co-authors, Aston Business School colleagues Xiaowei Xu and Prasanta Dey, posited that the traditional cost-based approach to supplier evaluation and selection was not only no longer favoured, but that it no longer met contemporary supply needs. The article gave academics and practitioners a more holistic understanding of the criteria and analytical approaches being used for supplier evaluation and selection. From this initial research, Dr Ho, who joined the University of Melbourne in 2013, developed a framework to support effective supplier sourcing. The framework integrates multiple stakeholders and perspectives, enabling companies to be more strategic when selecting suppliers. Having successfully tested it in several leading companies in the United Kingdom, including car manufacturer Land Rover, and Britons Carpet, Dr Ho knows his framework makes supplier management a lot simpler. “Companies need a way to effectively benchmark their suppliers based on different criteria, and this framework allows them to do that,” he says. He now includes the framework in the course he teaches students undertaking the Melbourne Business School’s Master of Supply Chain Management and Master of Enterprise, enabling them to take it back and integrate it into the processes at their workplaces. Dr Ho has also extended his research to particular criteria in the supply chain, specifically sustainability and risk management, collaborating with the Michigan State University’s Professor Srinivas Talluri for part of this research. When he published his original article in 2010, sustainability and risk were among the most lowly ranked evaluating criteria within a supply chain – coming in at 10th and 11th place after quality, delivery, service and manufacturing capability. 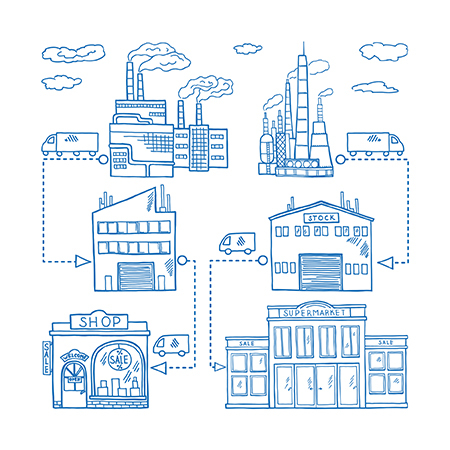 But, times have changed, and both are now increasingly important to supply chain management. “Firms are under increasing pressure to minimise their environmental impact, and one way they can do this is through their supply chain,” he says. “But it can be difficult to source sustainable products, or to know how sustainable they are as this information may not be available, or may even be concealed. “Companies are also paying a lot more attention to risk, especially after the recent supply chain disruptions impacted on the performance of companies. “For example, the earthquake, tsunami and subsequent nuclear crisis in Japan in 2011 caused Toyota’s production to drop by $40,000 – costing $72 million in profits per day. Dr Ho said he was extremely grateful to not only the Faculty of Business and Economics, but also his wife and two sons for supporting his academic endeavours.